AppFolio is one of the most popular property management software solutions on the market. As a property manager, choosing the right tools to list and share your properties is crucial to your success. At OpenPotion, we have been designing and building effective property management websites for several years, and we work with many small businesses who trust this property software to keep their profits flowing. Property managers require their vacant properties to be easily visible online and need software that minimizes empty properties. 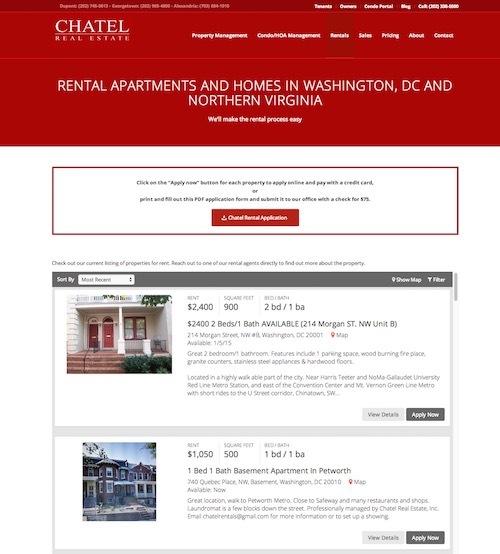 AppFolio customers can easily list their multifamily, single family and mixed real estate portfolios, and take advantage of the web-based portal that supports them with easy vacancy posting, integrated screening, accounting tools, prospect and lead tracking, and online applications. In short, it is a property management interface that saves time, increases efficiency, and grows businesses. Once you’ve decided on which portal to use, the next step is the integration itself. At OpenPotion, we strive to develop incredibly effective property management websites, and many of our customers choose us over the competition because we can integrate Appfolio, PropertyWare, and Buildium into our sites. This means clients get a sleek, powerful website, in line with their brand and marketing message, and with the full power of their property listing software. In addition, our websites do more than others out there to convert the leads that land on the page – we help you sell more. Each of our property management websites gets an A on their DoorGrow score. If you’re a property management company that uses AppFolio for your property management listings, but haven’t integrated AppFolio into your website, you are missing out on many potential leads. Contact us at OpenPotion today to discover how we can maximize your website’s potential and get more leads in the door.